We’re excited to announce our Winterfest Guests of Honour, Seishun Youth Academy! Seishun Youth Academy is a girl group based in Vancouver, Canada and is a sister unit to the Japanese rock group Seishun Gakuen. They aim to make a difference in the world with their positive message of friendship, acceptance, and never giving up. This all-Canadian girl group gets the audience pumping with their energetic performance, complete with over-the-top dance routines and live singing! Seishun Youth Academy is backed by the Japanese talent agency, NoMake. It is a sister group to Fukuoka based rock idol unit Seishun Gakuen, which was founded in 2010 and has continued activities since, with multiple chart topping releases and yearly performances at Japan’s largest idol music festivals. All of Seishun Youth Academy’s songs are original, written and composed by the group’s producer, SHUN. Ally&Sally, who are concurrently members of Seishun Gakuen, are Vancouver born and raised, and are Seishun Youth Academy’s founding members. 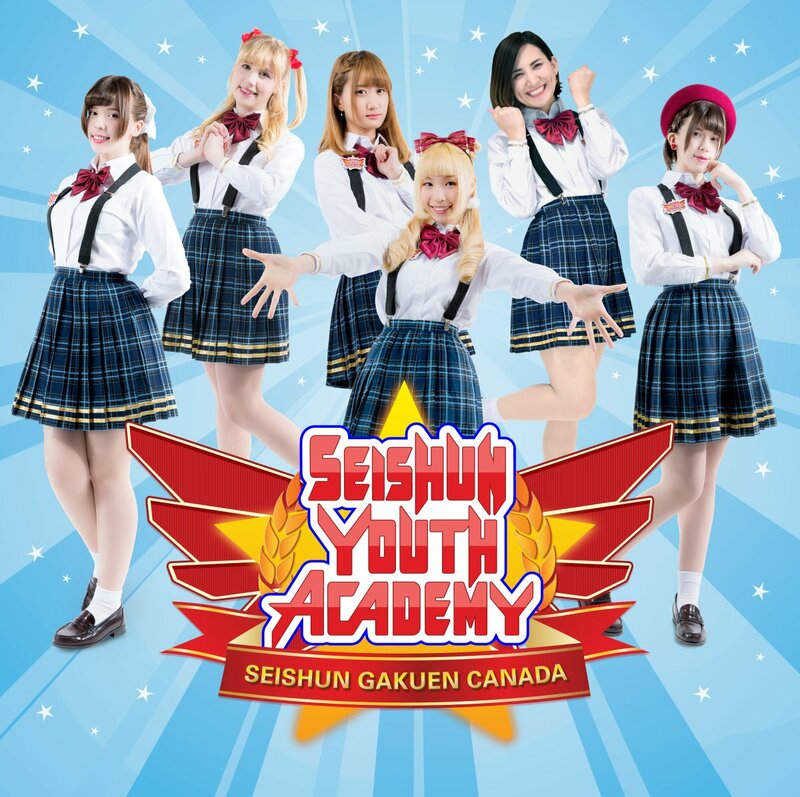 With 6 current members and always expanding, Seishun Youth Academy aims to spread Japanese idol culture throughout North America along with the positive message of their songs. Seishun Youth Academy has performed at many cultural events here in Vancouver, Canada, including performances on the main stage at the Sakura Days Japan Fair at Van Dusen Botanical Gardens, Powell Street Festival, Nikkei Matsuri, and Richmond Night Market. After sucessfully holding two sold-out solo concerts and currently working towards their third one in March, Seishun Youth Academy has built up an audience of passionate fans within Vancouver and all around the world, and have many big plans in store for the rest of the year and 2019.